When using CO2 utmost caution must be always taken. CO2 is a dangerous gas when inhaled at higher percentages. CO2 is an invisible gas with little smell. If CO2 levels do climb you should notice more rapid breathing. Here are some important safety guidelines when using the CO2 Bath. 1 – You must have a certified assistant helping you take the bath. They must have gone through our safety course and sign the app every time you take the CO2 bath that they are there with you. 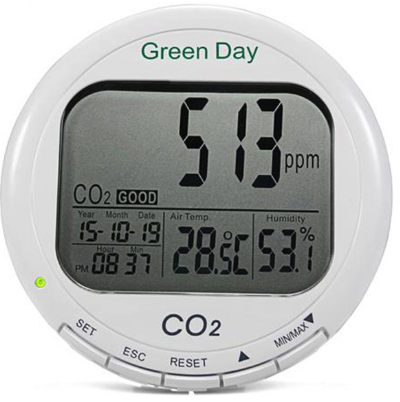 2 – You must have the CO2 Meter Alarm in near the head of the individual. This will alert you of any leaks in the tank or regulator. 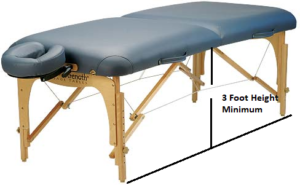 3 – The co2 bath must be taken at least 3 feet above the ground such as a massage table, bed or couch. CO2 is heavier than air so accumulates on the floor. 4 – Always take the CO2 bath in a well ventilated area. 5 – Before getting out of the bath make sure all CO2 is vacuumed out using the hose through a window. 6 – CO2 baths should not last longer than 1 hour. When using a CO2 whether for your fish tank or making soda or beer you should always use caution and know the CO2 levels in the area where the tank is. Make sure your CO2 Meter Alarm has batteries in it that are charged.